If you’re reading this then the odds you’re familiar with the ubiquitous blue tarp are extremely high. 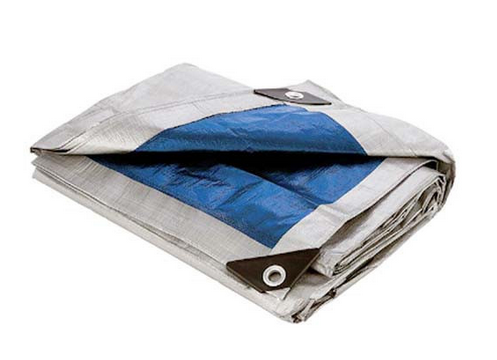 Tarps are one of the most commonly sold survival supplies around. This is because they’re versatile, super-affordable, come in a variety of sizes and colors, are lightweight, quite durable, and packable. 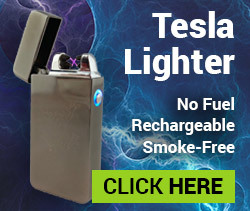 Now when most people think of using a them for survival they think of applications like using them for shelter, or using them to cover their survival supplies. Those are definitely some outstanding uses for these incredible survival tools. But, I wanted to let you know there are many, many more options. I’m going to outline 42 uses for tarps and then feel free to leave comments below on any ways I didn’t cover. Use it as a blanket: The homeless have used them for ages as makeshift blankets. They’re waterproof and windproof which will protect your from the elements. Use it as a hammock. Fold it in half and then combine it with some Paracord, find two trees and you now have an off-ground sleeping solution. Use it as privacy curtain: If you have to take a shower, or go to the bathroom, these can come in handy for the purpose of obstructing anyone’s view of you. Keep dry items dry: You can double wrap sensitive material in them so you ensure they stay dry when you need them to. Especially beneficial for clothing and electronics. Impromptu tent: With nothing more than some Paracord and a few branches you can protect yourself from the elements with ease. Use it to capture water: They’re great for collecting either rainwater or morning dew. Spread it out in the morning and once it collects you can funnel it into a water bottle or other device. 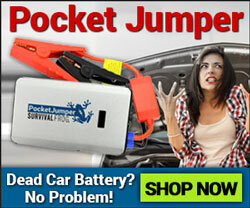 Use it to carry heavy items: This is one of the better uses for these tools. You can place heavy or bulky items that you couldn’t carry by hand on them and drag them for maximum effect. Cover windows: If you’re “bugging in” they will do a great job at keeping the elements out of your home. This is also a great use if your windows break. Use it to provide shade: Trying to prevent the sun from draining your energy? They do a great job of keeping the sun’s harmful rays at bay. Use them as a stretcher: Similar to the “carrying heavy stuff” idea. With some branches, and paracord you can create a litter/stretcher to help move an injured person to safety. Use it to sail with: If you’re ever in need they also make a great temporary sail. Make sure you’re buying ones with reinforced metal grommets at the corners for added durability. Turn it into a backpack. A bit of paracod combined with your tarp could mean an easy to use backpack. This pack can be strapped around your body or even carried on a litter. Use it to protect food as a picnic blanket. While it might not be the most comfortable picnic blanket, this will keep your food off the ground and protected. Use it to signal for help. With some of the larger ones you can spread them out fully and then paint the world HELP or SOS in large letters for everyone to see. Hide or camouflage sensitive items. Depending on what color you have you can easily hide material like food or you tent. Dark olive drab or camo tarps are great for this. You can also use spray paint to color your own with ease. Protect items on the tops of cars. Probably one of the more common uses. Wrap it around items you’re storing on top of a car so they stay safe and self-contained. Paracord is a necessity in this model. Trap animals with it. Spread it out over a pit trap and then place food on it to trap animals with ease. Use it for prone shooting practice. If you’re trying to get better at shooting this will be a great use. 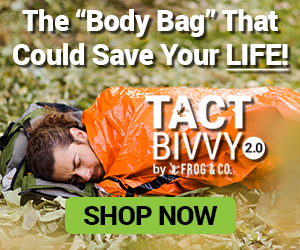 Just lay it down and you’ll be able to use the comfort of the tarp to get better at shooting for survival situations. Stay dry at night. If you’ve got a leaky roof (a likely occurrence if you’re caught in a crisis situation) you can use it to prevent the rain from getting on you. Either that or place it over the bed to keep your bed dry. Cover vehicles. In a crisis situation, and even in regular use, a tarp over a vehicle like a car or motorcycle is a great way to reduce its chance of theft. Drape it over the vehicle completely so they can’t see what’s underneath. This helps reduce the likelihood you’ll have the item stolen. Protect livestock: If you are keeping livestock (chickens, rabbits, etc) that use small cages then these are great for helping protect them in inclement weather. Cover items in the back of a pickup. If you’re using a pickup to transport your survival supplies draping the tarp over these items will reduce the likelihood they’re stolen. Make sure to use something like Paracord to keep it tied down securely. Use it as a poncho. Carrying a tarp with you on expeditions, bike trips, and even hikes is a good way to keep safe from bad weather. Use it as a pillow. Roll your tarp up (make sure it has some volume) and then wrap it in a t-shirt or fleece blanket and you’ve got a pillow. Use it to protect firewood. If you’re relying on wood for energy and draping one over wood is a great way to keep it dry so you have it ready to use at a moment’s notice. Use it while hunting. This is especially helpful if you have a camo colored one. You can either drape it over yourself, or drape it over an impromptu shelter for an instant duck blind. Make shoes out of them. A little bit of duct tape, some Paracord and a tarp will help you make shoes if you’re ever without them. Line a leaking bucket. If you’re trying to use a bucket to collect water or another liquid a tarp stuffed inside can help slow the leak. Hang in a tree or on poles to collect water. With the tarp stretched from one point to the next and with a slight dip in the middle you can create a pocket where water can be caught, and stored. Give pets shade. You can set a tarp up on poles to create a small shelter for your pet to seek protection under. Create a fishing net. You can deconstruct your tarp and use the strands to build a fish trap. Designs vary, but you can can either use the net by throwing it into the water and then trawling for fish. Or you could place the net at a chokepoint in the river for fish to swim through. Use it to protect shoes. If your shoes are losing their sole you can wrap a tarp around the shoes to keep the shoes intact for a while longer. Use it as a jacket. If you’re having trouble staying warm you can use it is a blanket to stay warm. It will trap warm air next to your body for maximum effect. Use them to keep kids entertained. They’re perfect for building forts with, or can be a play blanket area for children when they’re bored and want to have a good time. Use it as a rope. If you’re ever in need of a really strong, easy to grab rope a tarp can help. You can even tie the tarp in knots at the end to make gripping it that much easier. Use it to drag game back to camp. Similar to the other uses, you can even wrap the tarp around your meal so it is safe from the preying eyes of scavengers or others. Use it to protect car seats and interior. You never know what you’ll have to travel with. The use of one inside your vehicle can help prolong the life of your vehicles interior as well as keep certain fluids and scents from sticking around for long. Use it to cover a screened porch. You can make more use of you home and even help better insulate an open room with a tarp. Not bad for a woven piece of plastic, is it? In all reality you should have several tarps on hand. They’re that versatile and that useful. And, they’re quite affordable too. To get our most popular tarp click here or click on the picture below. This entry was posted in Bushcraft, Camping, Emergency Survival and tagged survival tools, tarps, tents on September 4, 2015 by Survival Frog. I like to use my tarp as a potato chip bag shelter it has a floor and a door any other configurations have this. I come in handy as a Pancho or a sled on snow the silver side good for signaling location and make a raft by filling them with dry grass and tying them together like logs. Thank you sooo much, I consider myself a Survivalist, and, shame on me, almost never give a look to your emails! thats was great tips on a Tarp!!! I will follow you! Thanks a lot! Good article, let me add number 43: As a ground liner when camping, helps keep ants out of your tent as well as smooths those “missed” mystery bumps that you didn’t see when you set up your tent. Not to mention it helps to keep ground moisture from seeping into your gear during the night. Thank you for sharing I am making extra copies for anyone who would like to know survival brain tools. If the tarp could come in camouflage you may be able to hide from the enemy while in the forest. What do you think?